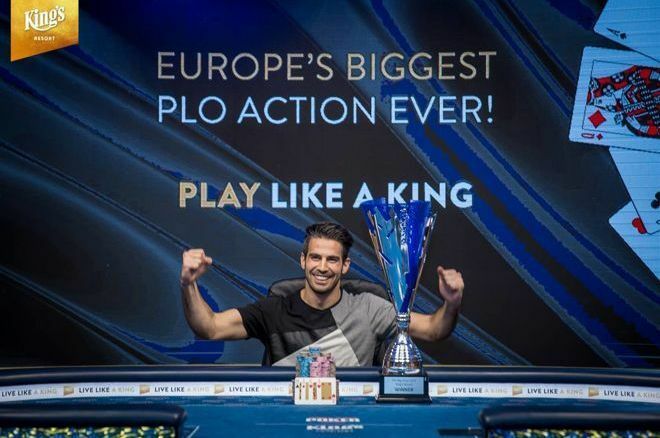 The Big Wrap PLO Festival, the Pot-Limit Omaha extravaganza that ran from April 1-8 in King's Resort has wrapped up after a week of wild PLO action. The Big Wrap itself, the Main Event with a buy-in of €2,350 that ran from April 5-8, drew a total of 516 entries and created a total prize pool of €1,078,440. The winner after four days was Lautaro Guerra of Spain, who claimed the first-place prize of €209,221. Guerra defeated notables such as Lauri Sakari, Tomasz Kozub, and Peter Muelbeck at the final table. According to the Hendon Mob, it was Guerra's second-ever and biggest cash after making a deep run in the €10,000 Pot-Limit Omaha championship at the WSOP last year. The Big Wrap PLO festival was a tasty dessert directly following up on the earlier main course, the World Series of Poker International Circuit event that ran from March 14 to April 1. The Main Event of the WSOPC was won by local star Martin Kabrhel who won his fifth circuit ring and €190,000. While the Big Wrap may be done, there's plenty more poker excitement coming from King's Resort in Rozvadov in the near future, such as the Czech Poker Masters (April 14-22) with a buy-in of just €100 and a guarantee of €551,750, the partypoker Grand Prix that runs from May 5-13 with a €200 buy-in and €551,750 guarantee, and the partypoker Grand Prix Million King's from June 20-24, sporting a lofty guarantee of €1,103,500 for a buy-in of just €500. Visit the King's Resort website for more information about upcoming poker events.